Getting your first paid acting job can seem impossible when you’re new to the industry, but remember, every successful actor was once in exactly the same position as you. Learning how to be a great actor is, of course, the first thing you need to do if you want to break into the industry, but there are lots of other things you can do to increase your chances of getting that first break. Understanding what agents, casting directors and other gatekeeper of the profession are looking for is vital. It allows you to present yourself as a professional actor. Master the following and it’s only a matter of application, perseverance and time before you get your first professional acting job. Acting is a profession where how you look matters. This isn’t to say you need to be beautiful to be an actor, but the way you look will strongly influence the types of acting jobs you are offered. Head shots are usually the first thing a casting director will look at when deciding whether they might potentially use you for a role. Without a set of professional quality head shots you are unlikely to even be considered for acting job. The key thing is to make sure the head shots are taken by an experienced professional and that they actually look like you! It’s no good using photos from 10 years ago or that are heavily photoshopped. Even if you do get an audition you won’t get the part if you don’t look like the person the casting director thought they were meeting! An actor’s resume CV isn’t quite like a regular CV. It’s all about highlighting your acting experience relevant to the role you are applying for, not just listing your most recent jobs. As a newbie to the industry, you obviously won’t have any professional credits yet, but you should hopefully have plenty of experience to talk about. Writing a great actor’s CV with a list of the roles you’ve played in drama school and the acting training you’ve undertaken can help prove you are serious about acting and have the skills to be worth auditioning. A show reel is a professional actor’s ultimate weapon as it leaves nothing to a casting director’s imagination. It shows them exactly what you can do, so they can see straight away that they are dealing with a real actor who is worth their time. Your show reel needs to be a high quality recording that demonstrates the true range of your acting abilities. Knowing what to put in an acting show reel can be tricky which is why it’s important to get professional advice wherever possible. Many people making their first steps into the professional acting world won’t have a show reel yet, so if you can put one together it can be a big advantage. This is one of the reasons we include a high quality show reel as part of our Ultimate Acting Programme as it gives our students yet another head start over the competition! Hollywood legend Bill Murray famously doesn’t have an agent, but that’s because he spent years getting to a place where he is so in demand, he can get away with it. For the rest of us, and especially people new to the profession, having an agent does two vital things. First, assuming you’ve found a good agent, they will know the game inside and out and be able to guide you to success much more easily and effectively that you could yourself. They will be able to get you into auditions and connect you with people you otherwise would never have had access to, making it much quicker for you to start getting auditions. Second, having an agent shows you’ve already convinced an industry player that you have the necessary skills to make it. This in turn makes you more attractive to other people in the business and makes you seem like less of a risk. Even if you have an agent, understand that you will still need to be an expert at self-promotion to succeed in this business. These days, you can do a lot of the hard work from the comfort of your own home by maximising your online presence. Make yourself a website using a popular, easy-to-use platform such as WordPress and get your head shots, CV and show reel up there. This gives you something to link people to online where they can quickly see what you have to offer. A professional-looking website is also increasingly seen as a sign that you are serious about your chosen career. Once you have your site, make sure to promote it on social media and use it as a point of reference when contacting agents, casting directors and other people you want to work with. Promoting yourself online is important, but you definitely shouldn’t overlook connecting with people face-to-face. The old adage “it’s not what you know, it’s who you know” is still around for a reason – there is some truth to it. Of course, the reality is that it’s both what you know and who you know, as all the contacts in the world won’t get you acting jobs if you can’t actually act. But assuming you already have the skills, it’s a good idea to know the right people and make sure they’re aware of what you can do and the kind of work your looking for. Learning how to network as an actor takes time. Make sure you start going to the right kinds of events, including local theatre festivals, launch nights and actors’ groups and you can soon start to make useful connections. Remember, other actors aren’t always rivals, they can be useful contacts who can pass on opportunities and put in a good word for you. There are so many tips and tricks about how to ace an audition out there it can be overwhelming. This is why audition technique is a key part of our professional development package. It’s not just about what to do once you get in front of an audition panel though, you also need to know which kinds of auditions to go for. When putting yourself out there, you have to understand where you fit. Be realistic about the kind of roles people are actually likely to cast you in and don’t expect to be playing the lead in a West End show straight out of the gate. Apply for roles that suit your age, look and level of experience and you’ll make it much more likely to get that first job you can begin to build on. There’s no getting away from it – being an actor means learning to deal with a lot of rejection. Remember, even really successful actors often spend significantly more time auditioning than they actually do acting. You need to be prepared to accept rejection calmly and professionally and always remember to thank people for the opportunity. Throw a tantrum or try to argue your case after a casting director has already made their decision and they’re likely to remember you for all the wrong reasons. If you want that casting director to give you another shot in future auditions, make sure you leave them thinking of you as a polite professional. Giving off a professional impression needs to be on your mind at all times when looking for work. This covers everything, from making sure your head shots, CV and show reel look the part, to your conduct at every stage of the audition process. Pay attention to the basics, like turning up on time, learning your lines, looking appropriate for the role and knowing people’s names and that will speak volumes. People want to know that you will act like a professional if they give you the job, so don’t underestimate the importance of making the right impression from the beginning. There are two things you need to be a professional acting – the ability to act to a high standard and the business knowhow to take those skills into the industry and get work. 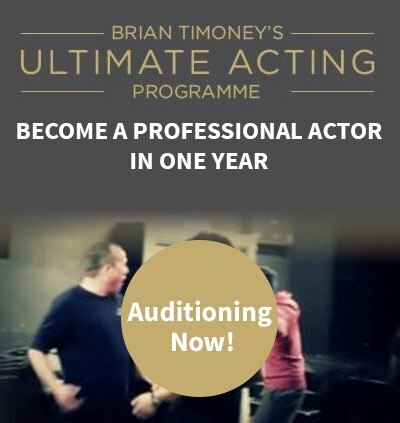 On our 1-Year Ultimate Acting Programme we teach you both sets of skills, meaning you won’t just know how to act like a pro, you’ll also know how to find and win the acting jobs you need to turn your dream into a reality. 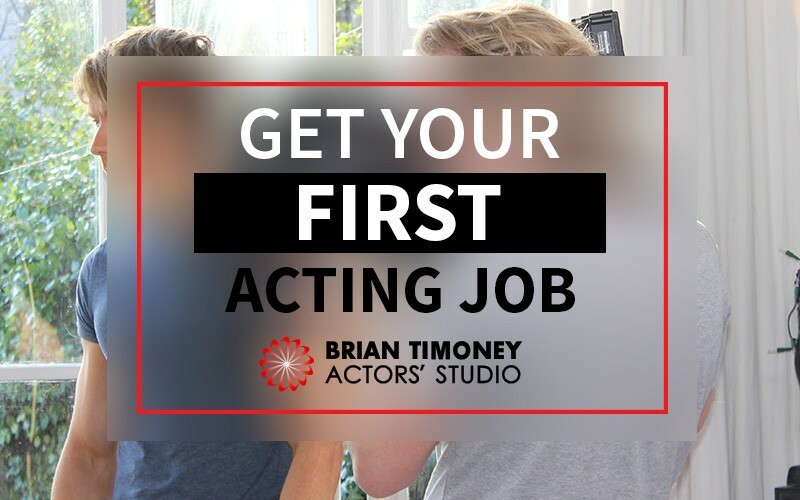 Our programme also includes a career development support package that will set you up with everything you need to start winning roles, including head shots, an actor’s CV and a professional quality show reel. The 2016-17 Ultimate Acting Programme starts in October and the deadline for applications is 8th June for auctions on 15th June. To find out more please take a look around the rest of the site or feel free to get in touch.